Our goal is to raise enough funds to purchase a New Training Complex. "The main reason that Fairview baseball will benefit from this complex is that it will allow enhanced and active participation by many more student athletes, allowing these athletes to better develop and compete”. The new training complex will be located beyond the center field fence of the Fairview High School baseball field. The new complex will allow us to maximize our time in mastering our craft. 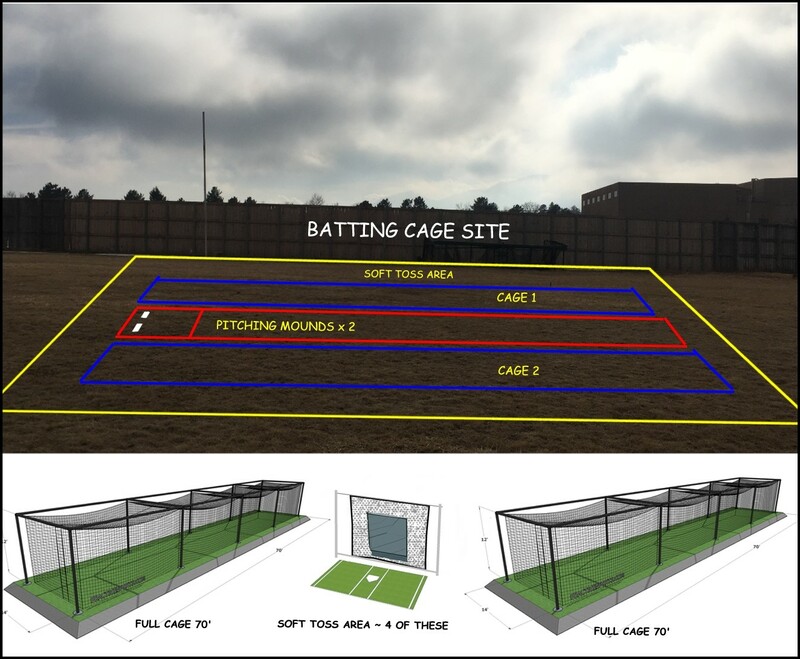 The training complex will consist of Two Full-Length Cages (each 70’ x 14’ x 14’) with additional 8 soft toss stations and tee stations. In addition, the training complex will have 3 full pitching mounds for full bullpen sessions. This training complex will allow 30 student-athletes to train at one time. The structure of complex will allow coaches to work more directly with student-athletes focusing on details of game of baseball. With time being used more efficiently and on our high school campus, we as student-athletes will be able to dedicate more time to our academics while still ensuring a high quality training. The training complex will also open the Fairview baseball field to more use for defensive drills complimenting the offensive training in the new training complex. Additionally, we will be able to better prepare before our games, with more of us being able to hit in the cages and hitting stations of the new complex and throw in the bullpens. Last year, the baseball family was able to raise enough funds to build one of the cages in center field. The Fairview baseball team needs your help in raising the additional funds to have concrete poured for the foundation for that cage. The new training center sounds great. Good luck Jack, Adam and Dillon! Woo Hoo to Dillon! Have an amazing season! good luck Ben and Finn! Let's go Oscar, let's go! Go get em Oscar! Sko Knights! Have a great season, Dillon!